Western is positioned to meet the educational needs in our 11-county district with a main campus and four additional facilities in La Crosse; regional locations in Black River Falls, Independence, Mauston, Tomah, and Viroqua; and a Public Safety Training Facility and College Prep and Transitional Education Center in Sparta. 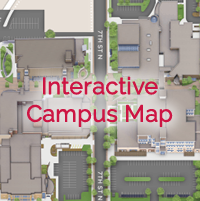 View our Interactive Campus Map to experience what Western has to offer or for directions to any of our facilities. Parking permits are required for the lots on the La Crosse main campus. There are a variety of permit options available. Learn more about parking permits at Western. Find out more about our Regional Locations and additional facilities. All Western Technical College campuses and grounds, including district-owned and district-leased property, are tobacco free. Tobacco use is prohibited inside all college owned and leased vehicles, buildings, grounds, and parking lots.